Types of Android update and its bad effect. 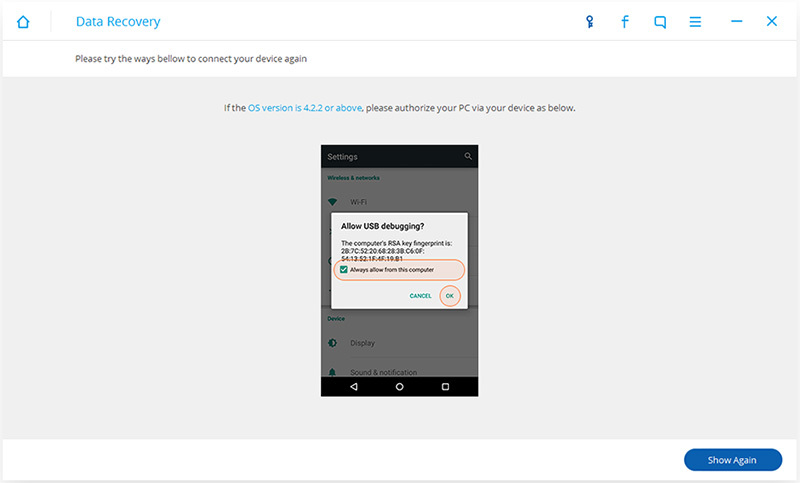 1.The official Android update (Android 7), which only adds several new functions or fix some system bugs, will not cause any data loss. 2.The second one is installing a ROM. 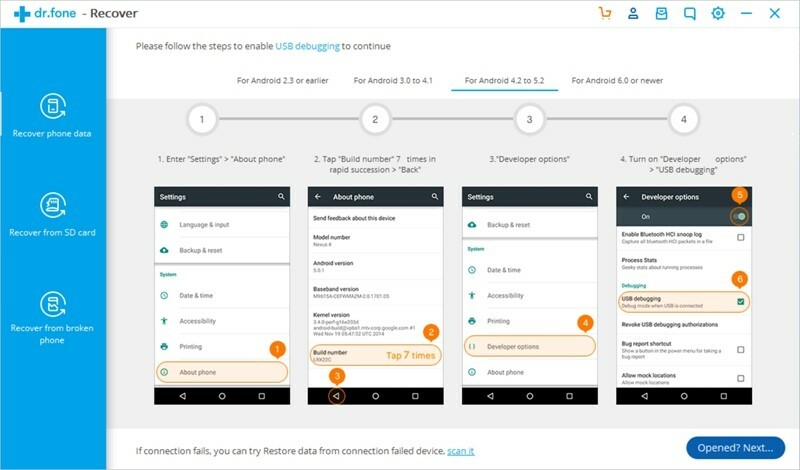 Plights are either result from forgetting to wipe data/factory reset and wipe cache partition or having installed an unmatched ROM. Even though a large number of Android users would take update as a practical way to personalize their phones and they can do much more operations after updating. However, every coin has two sides. Android update might bring about considerable losses of data, including all contacts, messages, photos, videos, music, documents apps and so on. In most cases, one becomes aware of this unpleasant consequence just after the upgrade is finished or even unfinished. 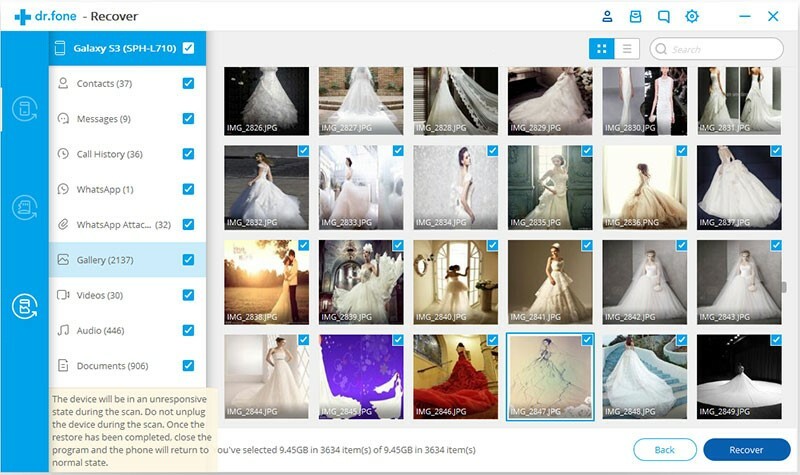 Now please move to next section to see how to recover data afterwards. Maybe you will ask anxiously: “Could it be possible that I can get my important files back after upgrading? ?” Then take it easy and follow the instructions below to regain your documents! Here a effective data recovery software is to be introduced – Android Data Recovery, which can recover almost all the file types within several simple operations from any Android Brand like Samsung, Google Nexus, LG, HTC, MOTO, Sony and One Plus. 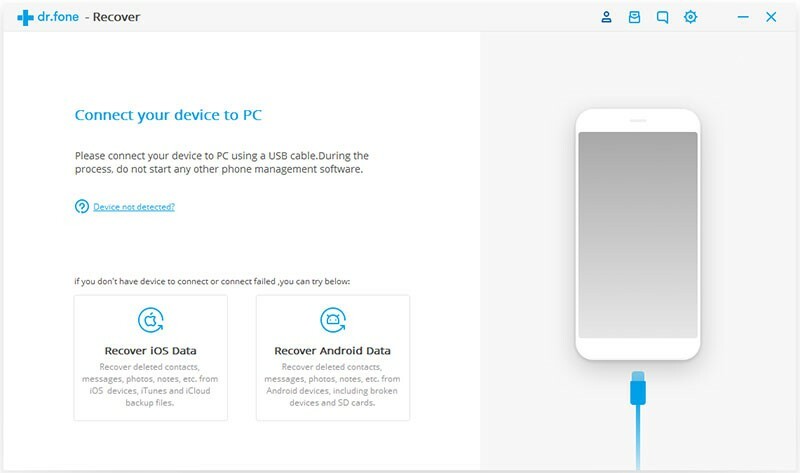 Step 1: When finishing the installation of Android Data Recovery and run the software, choose “Recover” option from the interface and connect your phone to the PC. Step 2: To do USB debugging when it is necessary, now four types of instructions would be given to you, follow one of them according to your own state. Step 3: The default is that all the file types are be chosen, but if you want to recover one or several particular types, just place ticks in the appropriate boxes. Then click “Next” to continue. 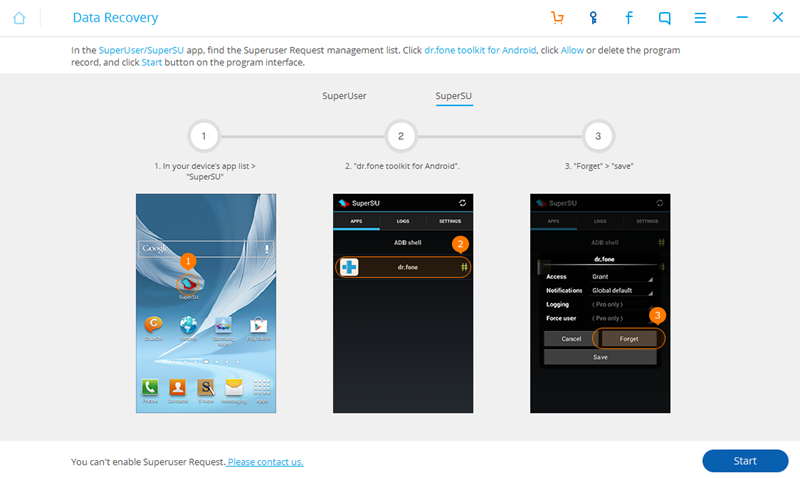 Step 4 (optional): Some of you may encounter this pop-up “Superuser request”, just click “Allow” or “Grant” to continue. 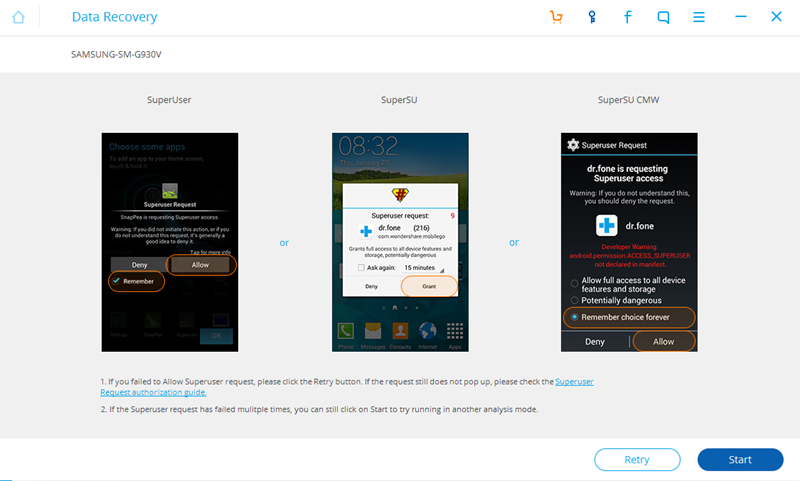 If the request does not pop up, turn to “Superuser Request authorization guide” at the bottom of the instruction and retry. 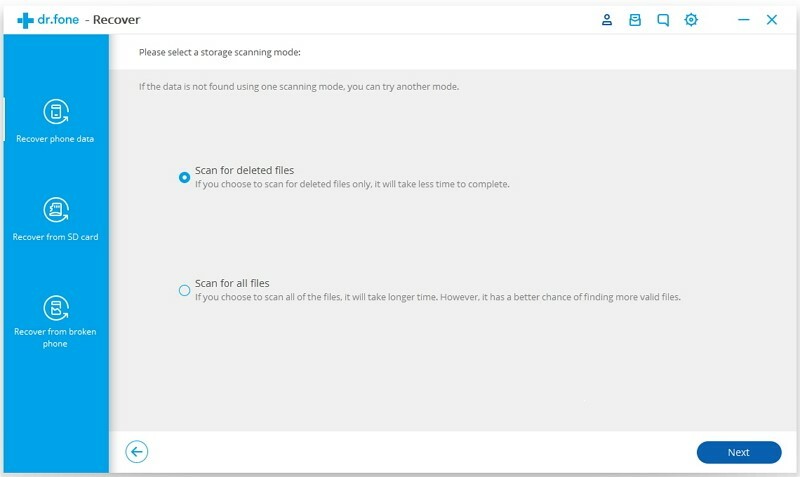 Step 5: Alternatively, you can either choose Standard Mode or Advanced Mode, but note that the latter one would take a longer time when you choose it to do further scanning. Step 6: After the scanning process, turn on the “Display deleted items only” button to see the deleted files and choose what you need to restore. Click “Recovery” to save them to the computer! Done! Step 1. 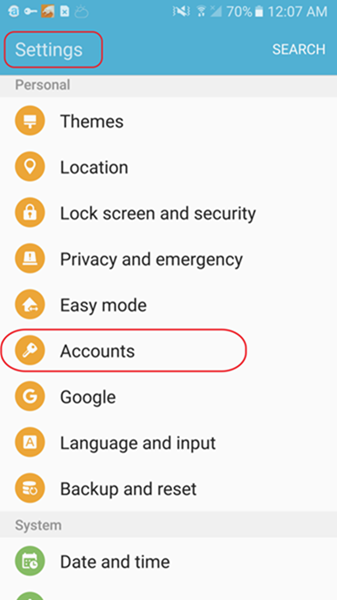 Enter “Settings ” of your Android device and tap on “Accounts”. Step 2. 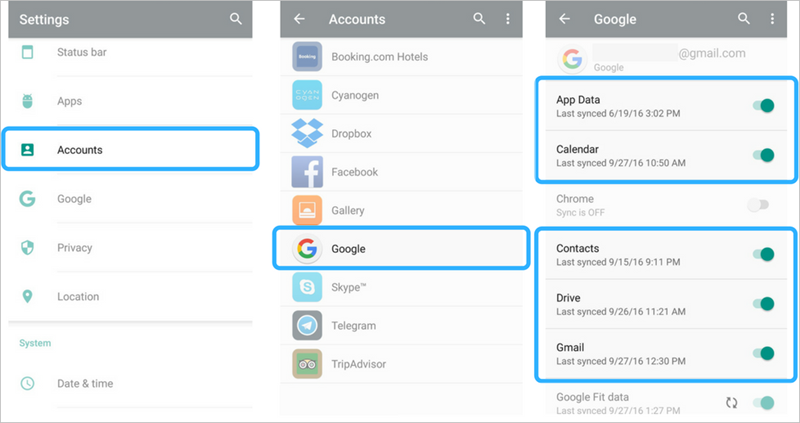 Choose your Google account. Step 3. Preview and backup the data that you need to Google Drive. Note: Google backup services do have some limitations: Firstly, it can only backup the applications whose developers have enabled the capability; Secondly, 15GB,a very small volume of memory, is provided freely by Google Drive, which means that it would charge you after backing up more than 15GB. 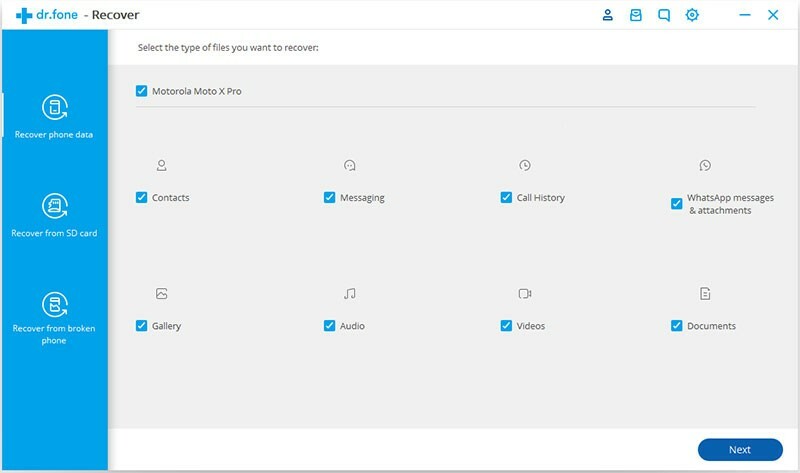 It is certainly unworthy enjoying advantages brought by Android Update at the cost of losing important data, so you should highly have forethought to backup Android files what is indispensable for you before something bad really happen.